As how could I pass up a story with the title 'bout Night Terrors & SuperTex', eh? Or may be I-T should be Tremors 'N Night Sweats? As the title grabbed my Attenzione, as how many of Yuhs recall that 'Ol SuperTex, nee Anthony Joseph Foyt, Jr. not only contested the 24 Hours of Daytona, but has two Rolex winning wrist pieces to show for it! 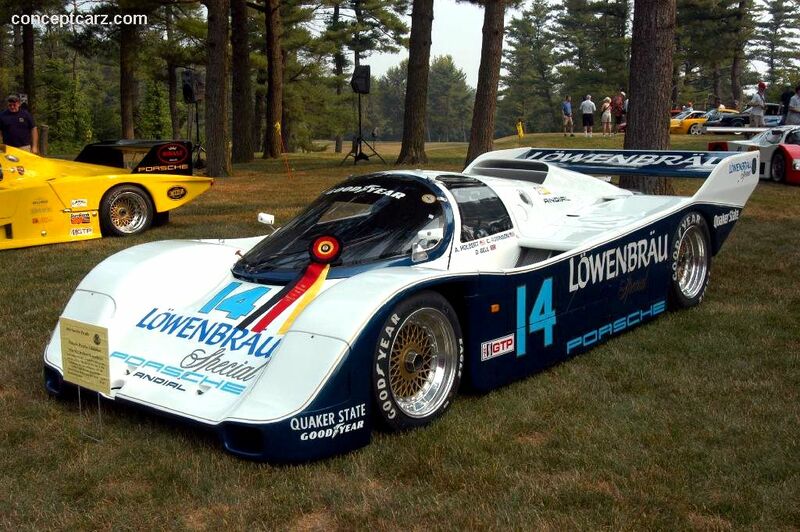 As funny how I totally remember the Lowenbrau cars of 1986-87 with Al Holbert, Al Unser, Jr. and Derek Bell. And whilst NOT downplaying AJ's accomplishments, which are simply legendary, but just to give I-T some perspective, "Peter Perfect," aka Peter Gregg has won the endurance classic twice as many times, albeit Gregg's primary focus was Sports Car racing whilst A.J. simply done raced anything with wheels. As I enjoyed this story, with the author harkening back to his childhood days with a poster of two Porsche 962's in Lowenbrau livery tacked to his bedroom's wall, for which A.J. Foyt was the Pilote of one of these two mighty Porsche's. As just think 'O thee Terror of 'Ol SuperTex coming up on your six, flashing you with his high beams on DayToner's High Banks before blastin' past Yuhs in his A-L-L conquering Porsche 962C Beer Wagon! Fooled Y'all! As betcha thought I was gonna say Panzerwagon, Ja Volt! But still think Yuhs wouldn't want the pressure of 'Ol SuperTex harassin' Y'all when the clock chimes Midnight when scamperin' about Dem High Banks! As the list reads like a veritable Who's Who of Motorsports, regarding Overall Winners at the Rolex 24, as Jeffrey "Pretty Boy" Gordon's still in pursuit of his first wristwatch, whilst thee Top Kuhuna's' with the most victories is shared between Hurley Haywood and Scotty Scooter' Pruett at five apiece. The Haywood-Pruett duo's followed by the aforementioned Gregg, along with Pedro Rodriguez, Rolf Stommelen and Bob Wolleck with four wins apiece. Although fours apparently not a good number, since none of these esteemed drivers are with us any longer! With half of this quartet making their names in Formula 1. Triple Rolex 24 winners abound with the likes 'O Juan Pablo Montoya, Memo Rojas, both scoring all of their victories for The Cheepster', nee Chip Ganassi who's got the record for most overall team victories with six. The late Ken Miles leads the list of two-time winners, along with the likes of Lloyd Ruby and the aforementioned SuperTex'. While there's the late Al Holbert who partnered with 'lil Al, aka Al Unser, Jr. and Jan Lammers, John Paul, Jr, Elliot-Forbes Robinson, Mauro Baldi, Didier Theys, Wayne Taylor and Terry Borcheller. Four other drivers with two Rolex's, one for each wrist winners include the likes of Scott Dixon, who won't be adding to his overall tally this year, since he's piloting one of Cheeps' GT Le Mans class's Ford GT's. With le Hamburgular', aka SeaBass', nee Sebastain Bourdais and fellow Ford Ganassi Racing compatriot TK' Follow-your-Schnoz! Kanaan both also in a similar predicament, as part of the twelve Ford GT Le Mans class drivers, who've each won the race overall once apiece. Yet there's three driver's in DPi Prototypes this year who all stand a chance of adding a third timepiece to their collection. As Caddy' Boyz Christian Fittipaldi and João Barbosa probably have the best chance, with Scotty Sharp's unknown Nissan Onroak DPi being a Darkhorse for now, as who knows who's showing what during testing, eh?